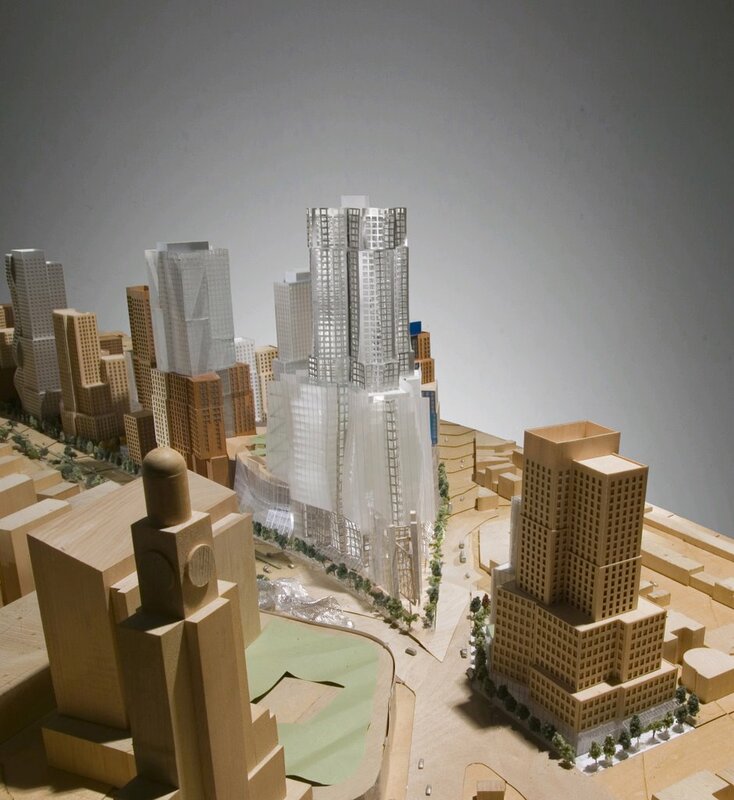 So how big would "Miss Brooklyn," Frank Gehry's flagship tower for the Atlantic Yards project, actually be? At 620 feet tall (actually, 650 feet with mechanicals) and 1.1 million square feet, it would loom over its neighbor, the Williamsburgh Savings Bank, which is 512 feet tall but less than one-third the bulk. So it's hard to get a sense of scale in the immediate neighborhood. But head for the the South Street Seaport and you might see a substantial glass-clad office building, 180 Maiden Lane, which stands between Front Street and the FDR Drive. Could this building serve as a cue? Indeed, the building includes 1.08 million square feet and stands 554 feet tall over 41 stories. So it's not quite as tall as Miss Brooklyn would be, but it's nearly as bulky. So if you're crossing the Brooklyn or Manhattan bridges, or just looking over from the Brooklyn shoreline, a view of this building gives a whiff of the future--at least as currently planned. According to Emporis, the "building's large internal floorspace was made possible by the transfer of air-rights from low-rises in the South Street Seaport Museum area." By contrast, the large internal floorspace in Miss Brooklyn would be made possible by the Empire State Development Corporation's override of local zoning.